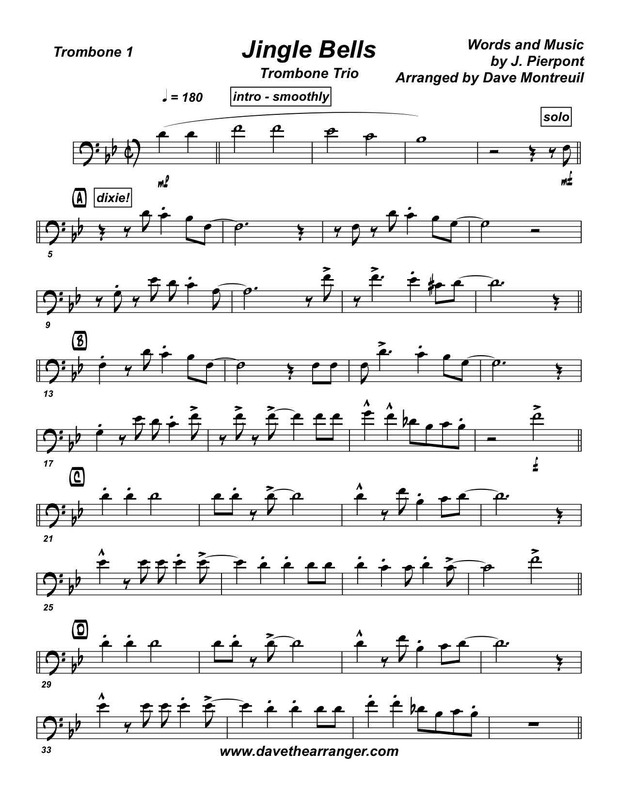 Here is a fun, energetic, quasi-dixie version of Jingle Bells, optimized for 3 trombones. A great romp, for listeners and players alike. If you can tap your foot loudly to beats '2' & '4', or get some reliable clapping going, this piece will really swing! Jingle Bells is playable without F attachment, and stays within an easy medium range, except the last two bars which do get up to a high Bb, which can be taken down the octave if needed. Right click here to download the (poor) recording for Jingle Bells.